In this weeks blog I’m talking about finger waves. We all love finger waves; so classic and elegant. 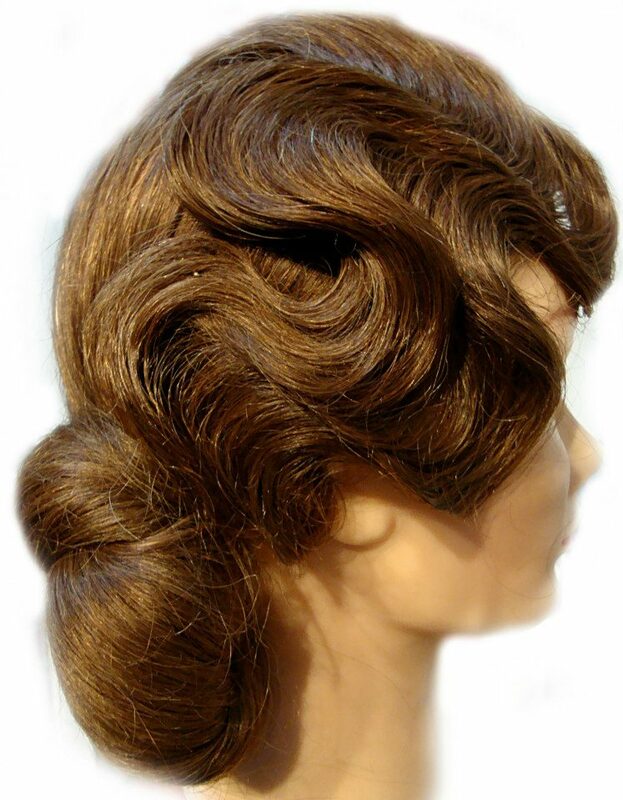 Finger waves were popular in the 1920’s, 1930’s and in the late 1990’s in North America and Europe. They were developed in the 1920’s to add style to, and soften the hard appearance of the bobbed hairstyles that became very popular during the flapper period. Many Hollywood movie stars wore the latest finger waves which contributed to the popularity and evolution of this style. 1. Take a panel of hair two inches wide to the crown. Section and isolate. 2. Smooth the remaining hair to the right of the head and use a band with two grips to secure the hair into a low ponytail. 3. Divide the ponytail into two sections and twist the sections around each other. 4. Wrap the twist and secure with pins. 5. Take the top section down. Work from the front to the crown taking sections and curling them forward. 6. Brush through and use wave clips. 7. Wait for the hair to cool and form it’s shape. From here add the finger wave into the twist at the back of the head.